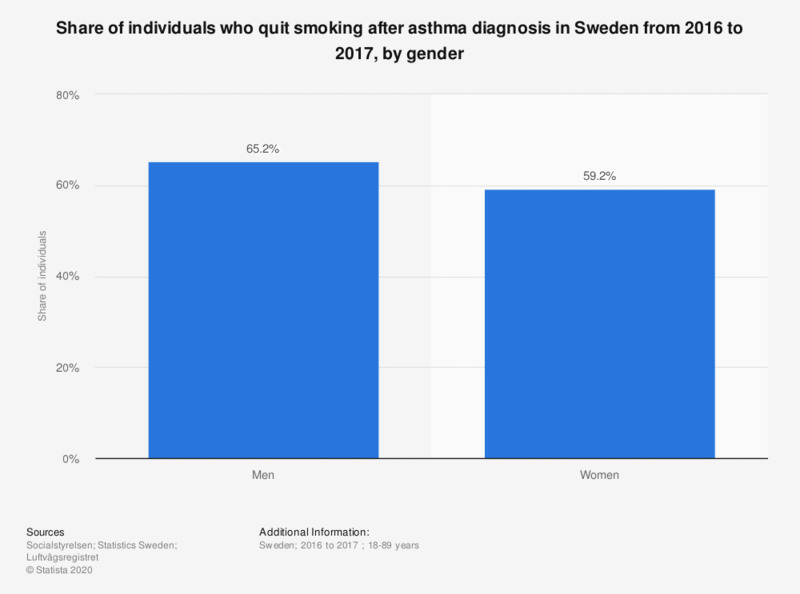 This statistic shows the share of patients who quit smoking after being diagnosed with asthma in Sweden from 2016 to 2017, by gender. A higher share of men than women quit smoking after being diagnosed with asthma. The share of men amounted to 65.2 percent while the share of women amounted to 59.2 percent. Everything On "Respiratory disease in Sweden " in One Document: Edited and Divided into Handy Chapters. Including Detailed References. Statistics on "Respiratory disease in Sweden "